#GivingTuesday is a global day of giving fueled by the power of social media and collaboration. This year we’re celebrating our 3rd annual Goat Giving Challenge with a goal of supplying goats to 10,000 people. Goats can change people’s lives, especially those living in the most impoverished places in the world. 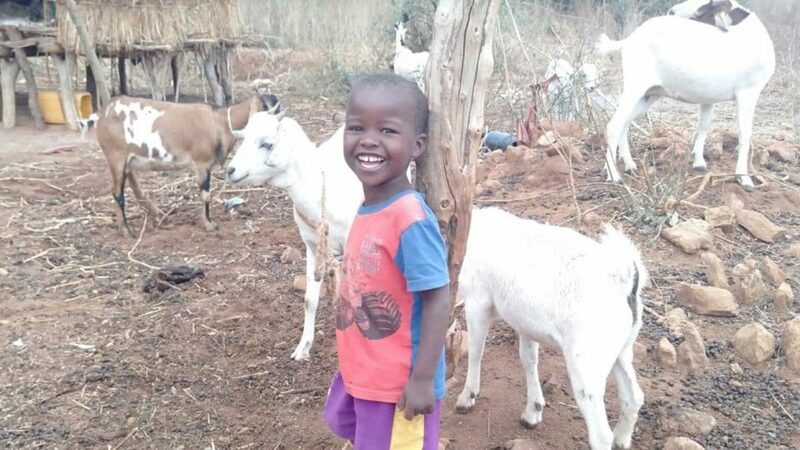 Goat milk is a source of protein to help children grow; goats keep gardens fertilized and bring in income. That is why on this #GivingTuesday we are asking you to give the gift of goats to a family in need. There will be enough goats’ milk for your food, for the food of your household and maintenance for your girls. Last year on #GivingTuesday, our generous community helped over 5,000 people with the gift of goats. You can be the reason that poor families see a brighter future. Because of you, they’ll have tools to help themselves and their communities. We only have until midnight on Tuesday November 27th to meet our goal. Through a special match campaign, all #GivingTuesday donations will be doubled. Please give if you can. Any amount is appreciated.